Food & leisure offer will be the next frontier in a battle over outlet shoppers, claims FASHION HOUSE Group and plans to strengthen this type of offer within its award-winning FASHION HOUSE Outlet Centre Moscow. Changes within the food offer are a part of major the strategic shift FASHION HOUSE Group prepared for its Moscow scheme. In April, the company unveiled its new omni-channel plan with FASHION HOUSE Online Shopping as the key component. It is the first online outlet centre in this part of the world. Now, when the e-commerce platform is off to a great start, FASHION HOUSE Group is focusing on the food & leisure part. Company’s new food strategy is based on the strategic analysis brought by Coverpoint, leading foodservice consultancy, part of JLL. It will be built around three key elements: visibility, quality & variety and inclusivity. Considering the broad range of shoppers visiting FASHION HOUSE Outlet Centre Moscow, new food offer will need to meet many different tastes, located within distinct zones. Proper visibility and promotion of the offer will be an important aspect, due to strategic location of the scheme, next to the Leningradskoye highway. 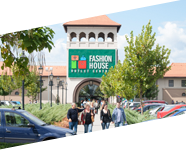 New food offer at FASHION HOUSE Outlet Centre Moscow will launch in November, alongside the opening of the scheme’s second phase. Customers will see improvements in three foodservice categories: casual dining, finer dining and refuel & relax. 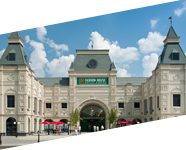 As a result, foodservice space at FASHION HOUSE Outlet Centre Moscow will expand from approx. 400 sqm at the moment to almost 2000 sqm. What is more, location of restaurants and cafes will be adjusted to provide leisure area across the whole scheme. 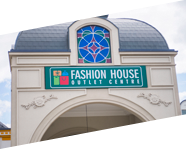 Following the successful launch of FASHION HOUSE Online Shopping, the first online outlet centre in this part of the world, we now focus on the food & leisure offer. 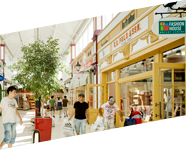 We foresee the growing importance of this type of offer at the outlet centres and, as always, want to be in the forefront of the industry. High quality food offer will allow us to close the customer experience circle – said Brendon O’Reilly, Managing Director of FAHSION HOUSE Group. Due to the excellent location, FASHION HOUSE Outlet Centre Moscow has a huge potential to become a go to place for Moscow’s gourmands. We believe that, after implementing new food strategy based on our insights, the scheme will become an industry leader in this category – said Jonathan Doughty – Head of EMEA Foodservice Consulting – Coverpoint. Company plans to make similar adjustment in its other outlet centres in Poland and Romania as well.